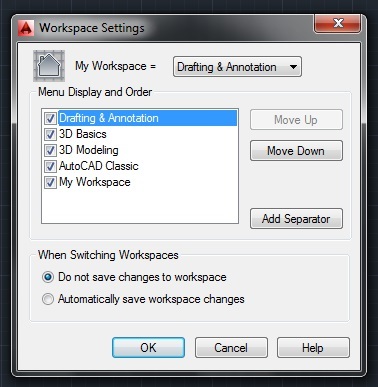 AutoCAD Workspaces offer different working environment based on your AutoCAD use. This includes workspace related Command Tabs. 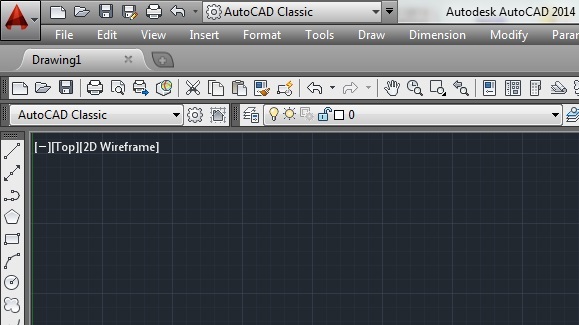 Also AutoCAD preserved Old AutoCAD UI (AutoCAD 2007) as AutoCAD Classic. Switching between workspace is very easy as to select an option from Drop Down List. 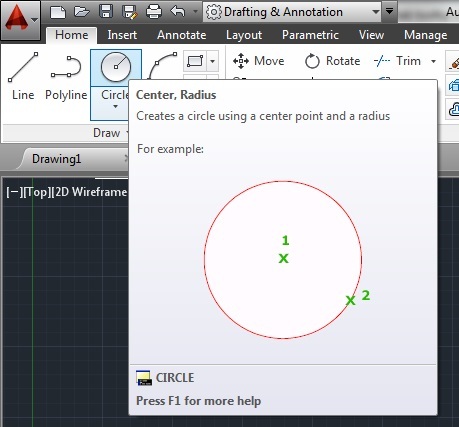 We will see how different AutoCAD Workspaces offer different command tabs set. 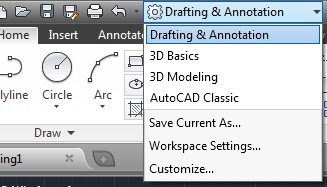 In AutoCAD 2014 this is default workspace Option for 2d Darfting and Annotation. This includes Ribbon and Panel features to categories Command tabs meaningfully based on use. You can minimize this ribbon to Tabs/ Panel Titles or Panel Buttons. Also you can Cycle through all four ribbon states. If you want to work in basic 3D environment to carry out Extrude or revolve of your sketch then use this workspace. Use this workspace for 3D Modeling. This workspace ribbon contains different modeling ribbon tabs such as Solid, Surface, Mesh , Render , etc. 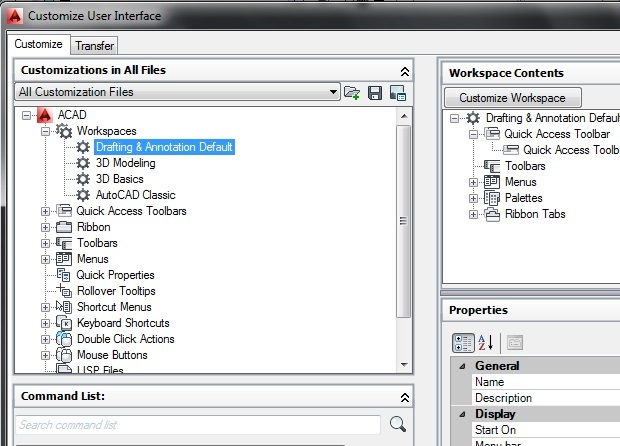 This is classic workspace used in AutoCAD 2007 with Toolbar and Palette. You can make changes in Workspace and save current workspace with tab ‘Save Current As…’ from workspace drop down list. You can later use this workspace from workspace list. You can reorder specific workspace in list, Add Separator . You can also choose option to save workspace changes automatically or not. We will see this in AutoCAD Customization in details. If you hover any command tab in any workspace then you will see a short explanation of what that command does. If you wait for couple of seconds (3 to 5 sec) then you will a large Tool tip explaining Command use in details along with Pictures. When you will press AutoCAD Icon tab on Top Left corner then you will see a list of Command Tabs and List of commands inside them will be shown if you hover each command tab . 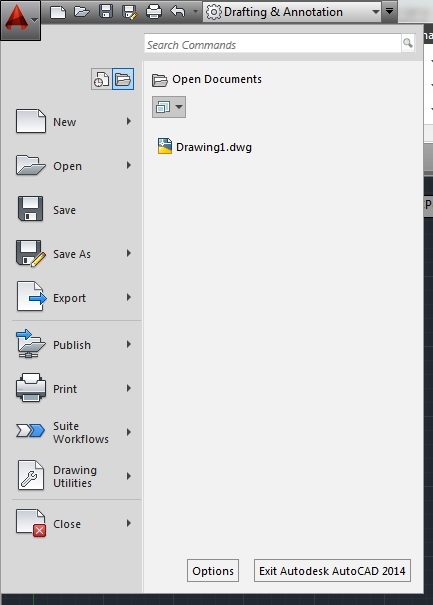 You can close Drawing file , Go to Options or Exit from AutoCAD 2014 . View Cube on Drawing top right corner is available in workspaces . 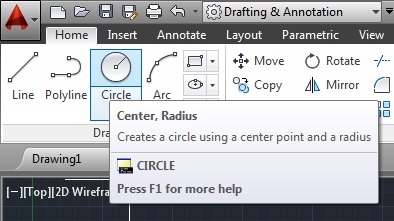 Navigation toolbar is also available in workspaces except ‘AutoCAD Classic’. Status bar is same and available in all workspaces.